Breezes blowing through the palm trees, the gentle roar of ocean waves on golden beaches, spectacular sunsets- it all sounds so idyllic. But the heat and humidity of the tropics can leave you sticky and stinky, and it is hard to sleep when your skin is sun burned and covered with mosquito bites. 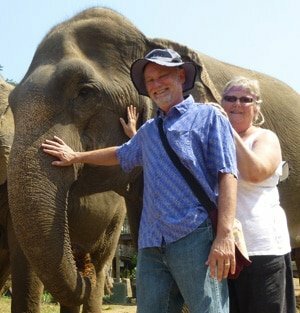 In our travels to Thailand, Bali, Costa Rica and Mexico, Neil and I have seen so much beauty, and we’ve also learned some valuable lessons about how to be comfortable in hot and sticky places. I have learned that I can greatly increase my comfort with a few simple additions to my toilet kit. Since it is not usually possible to find these items in foreign stores, or if you do, they have questionable ingredients or are absurdly expensive, we purchase these items before we travel. Perhaps they will find a place on your packing list for your next adventure to warmer climes. Due to restrictive airline weight limits, each item that goes in my suitcase has to earn it’s place. I do not have any weight to spare, especially on an extended trip. 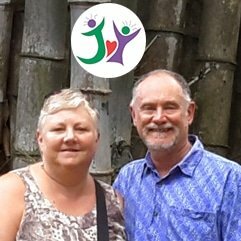 On our last trip to Costa Rica, we flew on a “puddle jumper” plane to our final destination. This plane had only twelve seats and not only were we limited to thirty pounds of checked baggage, but they actually weighed each person with their carry-on baggage before issuing a boarding pass. Taking baggage weight limits into consideration and because feeling fresh and comfortable in hot climates is a priority of mine, the following items get top billing in my suitcase, even if it means leaving something else behind. After spending a few too many hours in the sun in Ko Lanta, Thailand, we discovered that it was impossible to find natural Aloe Vera Gel without chemicals and perfumes in local drug stores. After doing extensive online research, Neil found a natural product, Majestic Pure Aloe Vera Gel. This product proved to be the perfect way to soothe sunburn. It proved equally effective in stopping the itch from mosquitoes and no-see-ems in Costa Rica. When Neil burned his hand with hot oil, this Aloe Vera Gel kept it feeling cool and certainly helped it to heal quickly. Neil and I are very picky when it comes to rubbing our skin with chemicals. Keeping ourselves free from the bites of mosquitoes and other unpleasant insects is a top priority, but we don’t want to poison ourselves in the process. It is a well documented fact (see Consumer Reports, May 2015) that most “natural” repellents are ineffective. It is also proven that products with DEET work. But DEET has been shown to be dangerous to use. When we have traveled unprepared, to prevent us from getting bitten and the potential for serious diseases, have used products with DEET, primarily because that is the only type of repellent that can be found in most foreign pharmacies and grocery stores. We were very excited to find an insect repellent that has the effectiveness of DEET without the dangers. The active ingredient is Picardin. We like to pack a spray bottle of Tender Natrapel 8 Hour Pump and also a box of convenient wipes. 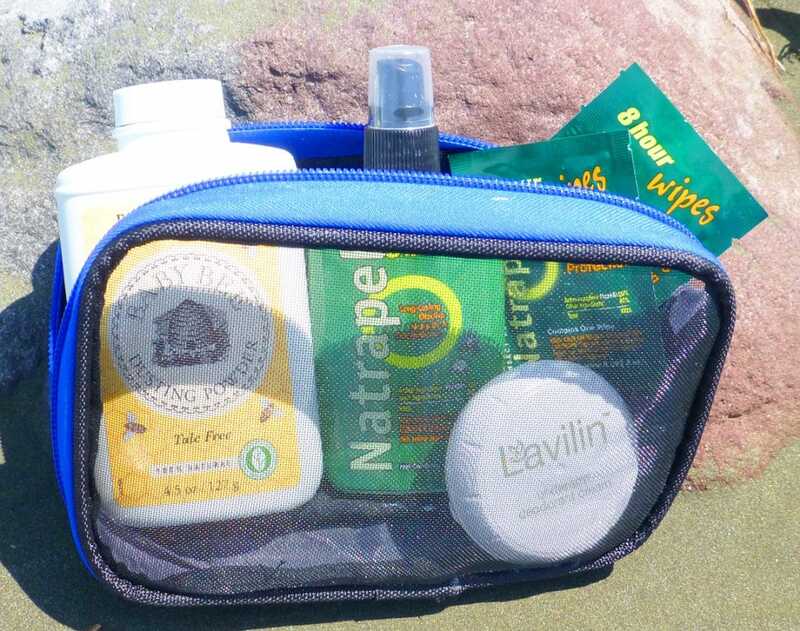 The wipes fit easily in your pocket or purse so that you always have them ready, and they make it easy to apply the repellent wherever you are. Nothing spoils a delicious meal in a charming outdoor restaurant like being swarmed by biting insects! Have you ever tried to wiggle your hot and sweaty body into your one piece swimsuit or sports bra? Traveling in hotter climates means lots of clothes changes and they can be challenging because of the way that clothing sticks to you. Whether I was changing in and out of my yoga outfit in Ubud, putting on my swimsuit for a dip in the Caribbean in Costa Rica, or just getting ready for bed in a room without A/C in Ko Lanta, I learned that a light dusting of powder made it much easier to slip into my clothes. And I was able to be much more comfortable in bed during the heat of the night if I used powder to keep dry. I have regularly used a moisturizing lotion in drier climates, but I have found that I never need lotion in places with high humidity. Instead, I use powder to keep comfortable. I have learned that powders that contain talc may be unhealthy. In fact, talc has been linked to cancer. Burt’s Bees: Baby Bee Dusting Powder has natural french clay and baking soda, smells nice and feels great. It comes in a small size perfect for packing too! The best deodorant for travelers would be the one that takes up the least amount of space and weight in our luggage, keeps us odor free, has no harmful chemicals, and only needs to be used about once a week. This amazing product actually exists! Both Neil and I have been using Lavilin Underarm Deodorant Cream for years. Even in the hottest climates, it usually keeps us odor free for four to seven days. Since you only use a tiny amount for each application, we can pack one 12.5g container and it easily lasts for three months for us both! Note that Lavilin is a deodorant, not an antiperspirant which is the choice of health conscious folks like ourselves. This also means it is less likely to cause allergic reactions. At first, you might think that the Lavillin deodorant is expensive, but when you figure into the cost how little you use and how long it lasts, it is actually a good deal. We are both really happy with it. Here’s our tip to maximize the effectiveness of this product. It works best if there is a minimum of armpit hair. If you don’t shave that area, at least keep it short so it can work better. This is, of course, not a complete list of all the traveling essentials we have on our packing list. These are the items, that we have learned through lots of trial and error, add enormously to our comfort while taking up only a small amount of space in our luggage. We hope that soon you too will travel to a spectacular tropical locale. 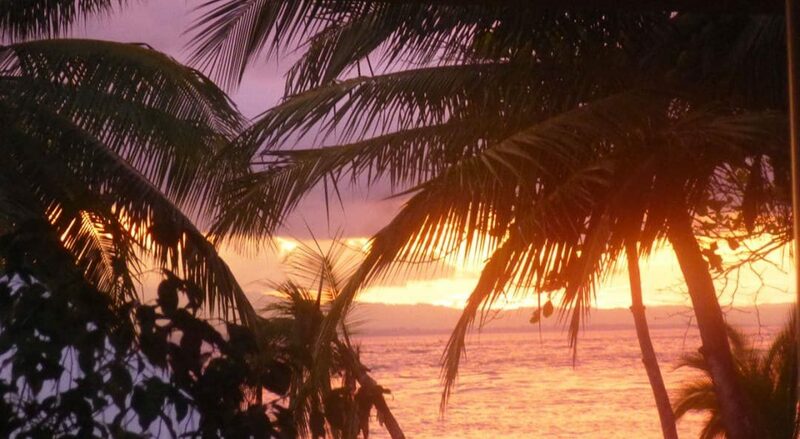 Keep this list of tropical travel essentials in mind when you go. 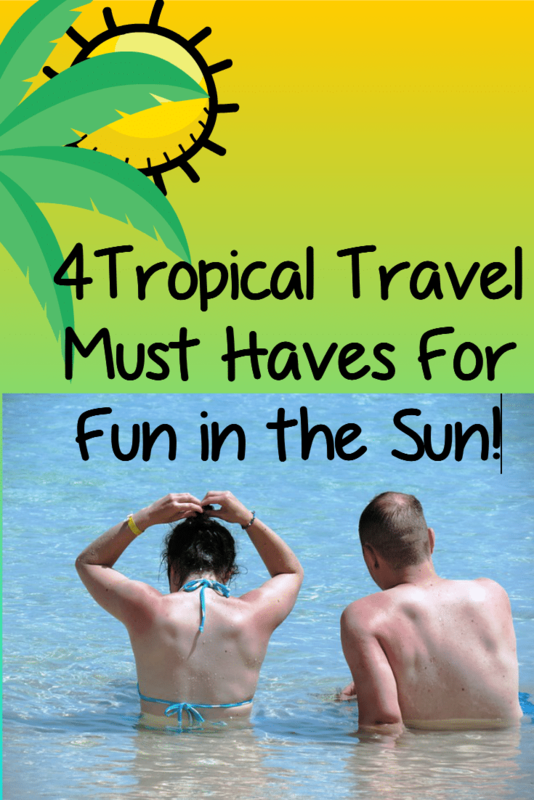 Do you have some tropical travel essentials that you bring to hot and humid climates? Please let us know about them in the comment box below. Thank you! I know you are a real person! We were just saying how much we appreciate our long lasting and easy to transport deoderant. And our niece visited us in Mexico and got quite a sunburn. The aloe was in the fridge ready for her.